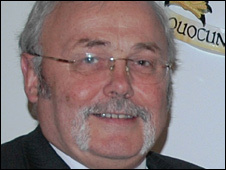 The Isle of Man's chief minister, Tony Brown MHK, is to close the doors on his electrical shop after three decades. Mr Brown established Tony Brown Electrics in Castletown 29 years ago. The shop is due to close for a final time at the end of this month. He said he was "sad" and that it was a difficult decision to make. However, Mr Brown said it was the right time to sell-up because "the town has moved on and improved" over the past 29 years.